August 10, 2018, 5:00 p.m.
Last week, a number of the Administration’s intelligence advisers went to the White House briefing room to warn about Russian meddling in the 2018 midterm elections. They also reminded people about Russian interference in 2016. The latest Economist/YouGov poll suggests that – among Republicans – being aware of that briefing may have made a difference in whether or not people believe that there was, in fact, Russian interference in 2016 or continued meddling today. 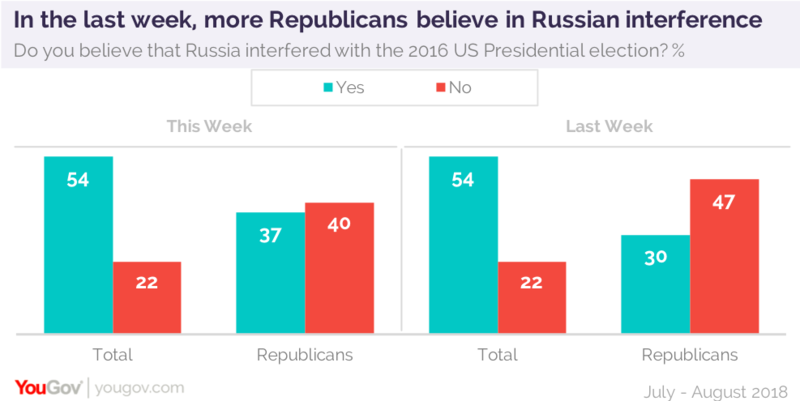 Republicans have consistently rejected the belief that Russia was involved in the presidential election. Last week, only 30% said they believed there was Russian interference. That number (and the share that believes Russia is still interfering) grew this week. It was especially high among Republicans who had heard about the briefing. 82% of Democrats and 43% of independents believe Russia was involved in 2016. Slightly fewer say it is interfering now. But a quarter or more aren’t sure. The advisers who spoke at the briefing are pretty much unknown to the public. Barely half the public venture an opinion of National Security Advisor John Bolton (and they are divided about him), even fewer know Secretary of Homeland Security Kirstjen Nielsen or Director of National Intelligence Dan Coats. But the briefing may have had some impact. Although Republicans may be more likely now to see interference in 2016, they are no more likely today than before to believe the Russians took Donald Trump’s side. However, more say the Russian President wanted Trump to win than say he favored the President’s Democratic opponent, Hillary Clinton. But did the interference make a difference? Most of those who believe there was Russian interference think it affected the outcome. But most Republicans who agree on Russian meddling say it made no difference. Few Republicans think the President has attempted to influence Special Counsel Robert Mueller’s probe of Russian interference in the 2016 campaign. 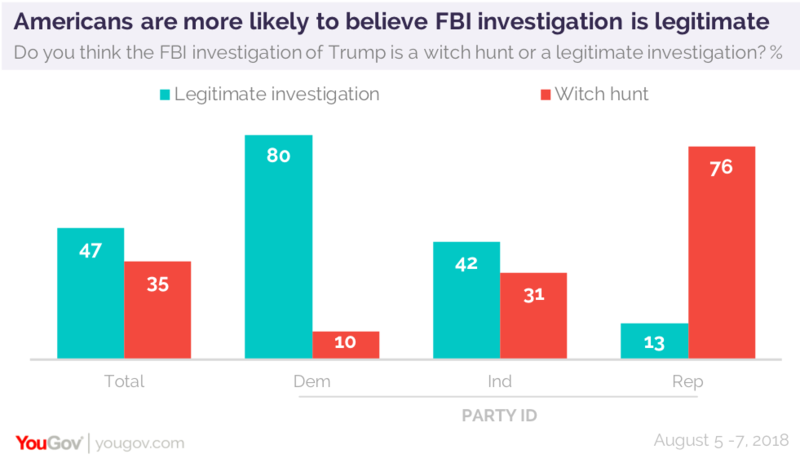 Just 16% of Republicans say he has tried to influence the investigation, while nearly two-thirds think he did not (among the public overall, Americans say there have been attempts by the President to influence the investigation, 45% to 30%). But Americans are evenly divided on whether the President himself did anything improper – or even illegal – during the campaign. There is a party split on whether the President should agree to an interview with Mueller. He has suggested that he wants to do that, and many Americans would want him to. Republicans take the side of those legal advisers who argue against a sit down between the President and the Special Counsel. Russia casts a long shadow on this presidency. Last month’s summit in Helsinki, Finland was not a public success: by 35% to 23%, Americans say it was not successful. 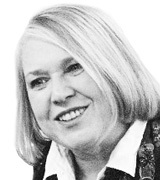 And Putin is seen as coming out the winner over the US President. More than three times as many believe Russia got more out of the summit than say the US did. Republicans are most likely to say that each side got as much as the other. But to six in ten, Russia remains a serious threat to the United States, something they are not sure the President believes. Just about half say he regards Russia as a friend or ally. Two-thirds of Americans call it unfriendly or an enemy.